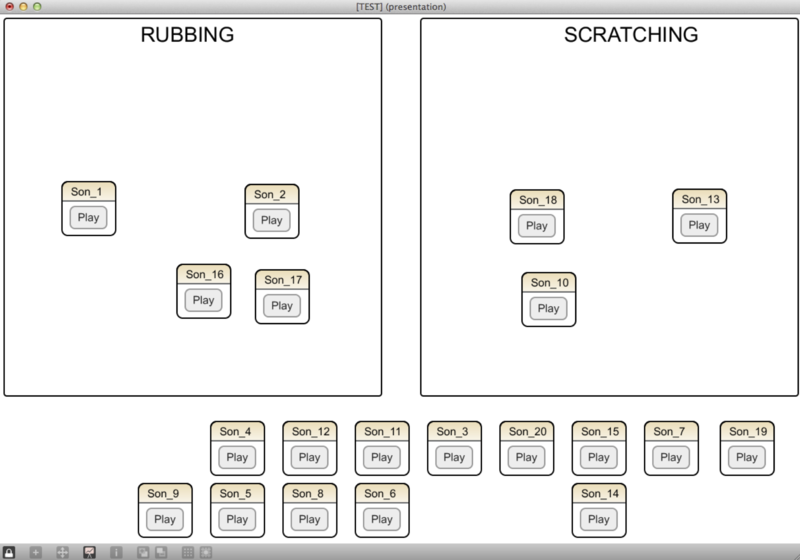 Authors: Conan S., Aramaki M., Kronland-Martinet R., Thoret E., Ystad S.
The presented study is part of a general framework consisting in designing an intuitive control strategy of a generic synthesis model simulating continuous interaction sounds such as scratching, sliding, rolling or rubbing. 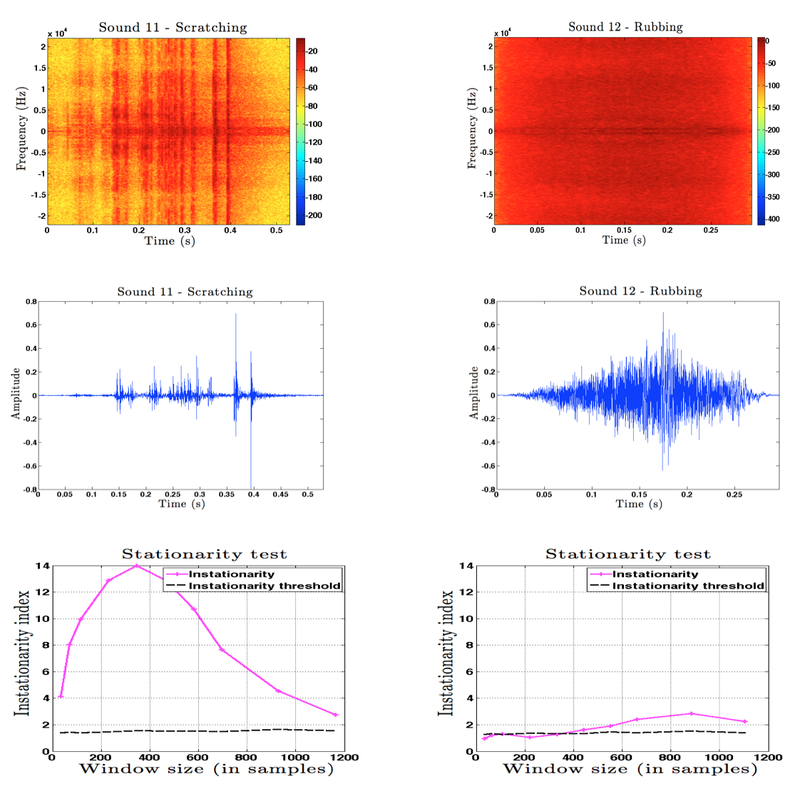 For that purpose, we need to identify perceptually relevant signal properties mediating the recognition of such sound cate- gories. 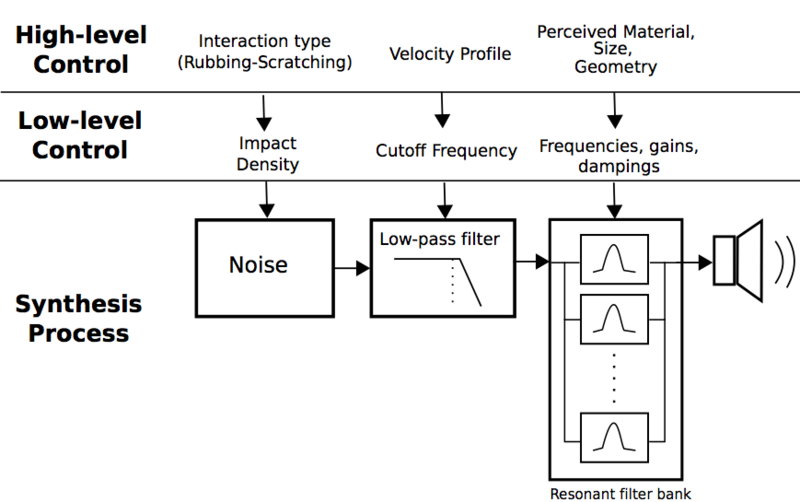 Some studies tend to suggest the existence of acoustic features related to velocity or periodic modulations but, to our knowledge, the auditory distinction between these interactions is still not well-known and no formal investigations have been conducted so far. 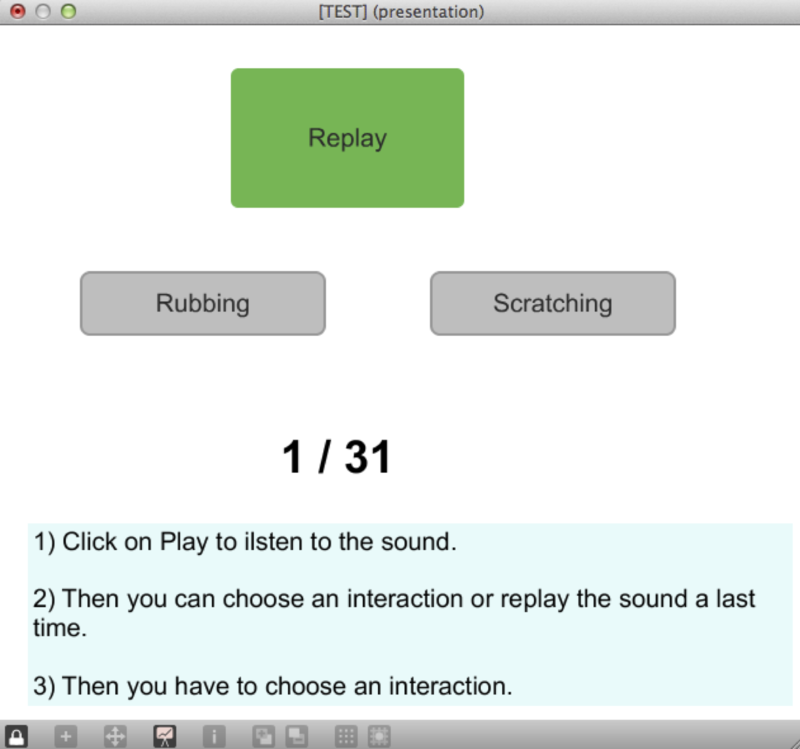 This study aimed at presenting a perceptual evaluation method, with brings to the light the differences between two continuous friction sounds, rubbing and scratching. By a perceptual experiment with recorded sounds, we noted that listeners unanimously classified some sounds in one category or the other. Then, an analysis of the recorded signals let us hypothesize on a feature that may be responsible of this distinction. This hypothesis on a characteristic morphology was tested by synthesizing sounds and using it in a second perceptual experiment. Results support that this typical morphology is responsible for the evocation of rubbing or scratching, thereby useful for the design of intuitive control of the generic synthesis model.